See more objects with the tag artists, preparatory, storm, sketch, ships, sea, boats. This is a Drawing. It was created by Winslow Homer. It is dated 1881 and we acquired it in 1912. 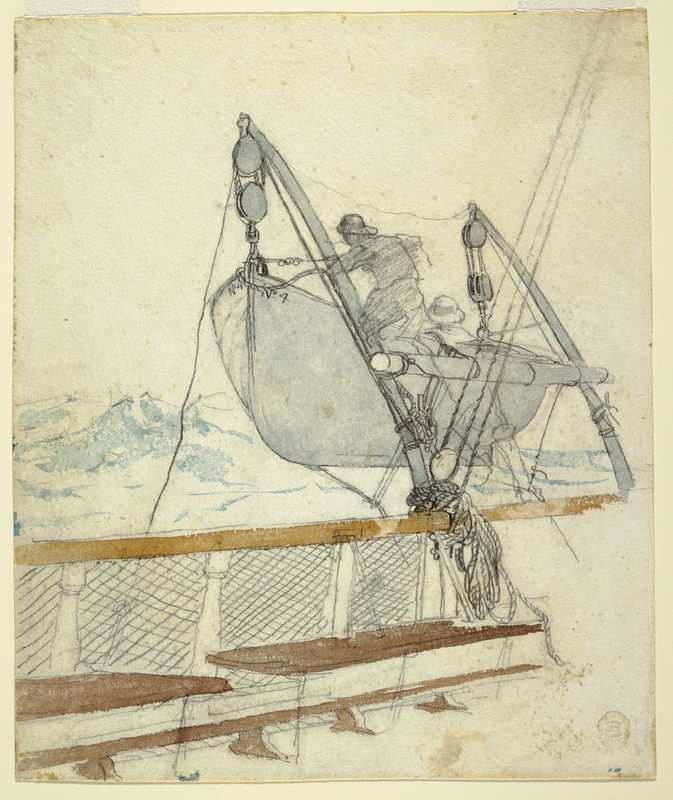 Its medium is graphite, brush and blue-green, brown, and yellow watercolor, gray wash, traces of black ink on white heavy wove watercolor paper. It is a part of the Drawings, Prints, and Graphic Design department. Recto: Stamped in purple ink, at lower right corner: Museum for the Arts of Decoration Cooper Union, Lugt 457d.